Edgy Table — KATCH I.D. EDGY was instigated in a lumber yard one day in 2008 by a stack of 2x4’s with painted ends. While in the lumber yard, paint is used to minimize the cracking of wood, we’ve taken this utilitarian practice and applied it in service of flair and style. The contrast between the materials emphasizes the beauty of each: the colorful man-made edge is simple and pristine while the natural grain and movement of the wood finish provides an organic counterpoint. This customized edge detail allows you to select a color of your choice. This design detail can set the tone for a room, or fill in a blank. 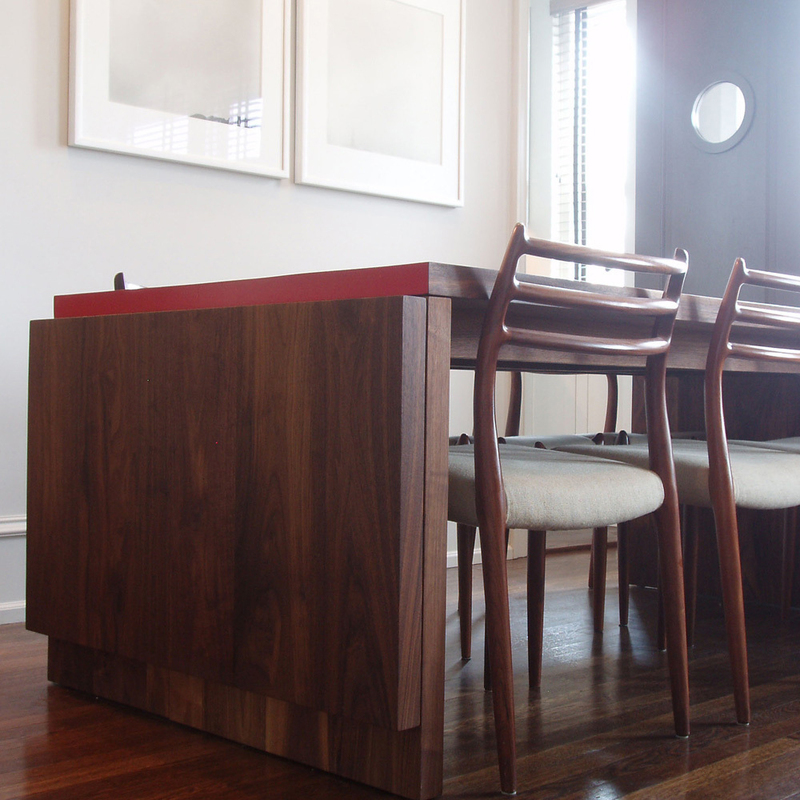 The EDGY drop-leaf dining table is impeccably crafted, functional and versatile. In Black Walnut or rift white Oak. Made to measure. For pricing inquiries and to order, please call 718-599-1083 or click below to inquire.